CLICK HERE TO READ THE COOLEST NEWS OF THE YEAR!!! This Saturday is World No Tobacco Day and in an article about smoking in films, Jackie is mentioned as one star who campaigns against smoking in movies. Not much news out of Berlin these last few days. 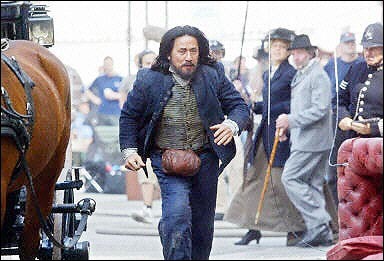 Jackie is very busy filming Around the World in 80 Days. If you would like to read more about the film, click here. "I received another gift from one of my fans today. 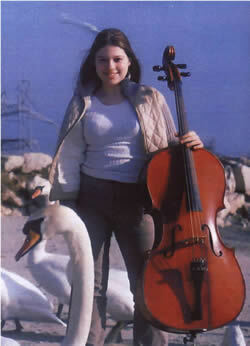 Her name is Kamelia Kirilova, and she is a beautiful young lady and a talented musician. 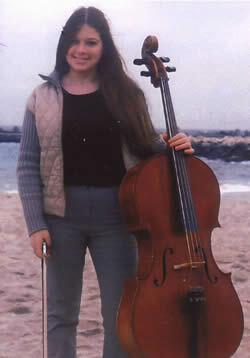 Kamelia plays the cello, and she recorded some of her music on a CD and sent it to me. When I listened to it, I found out that one of the tracks is actually a song from my movie "Gorgeous." Wow!! Thank you, Kamelia, for this great gift. Now I will have some new music to listen to in my car." Congratulations to Kamelia and many thanks to Jackie for mentioning her in his diary. Belated birthday wishes go out to Jackie's manager and best friend, Willie Chan. (His big day was May 22nd). Hope you had a nice day, Willie! Not a lot of Jackie news out there right now. 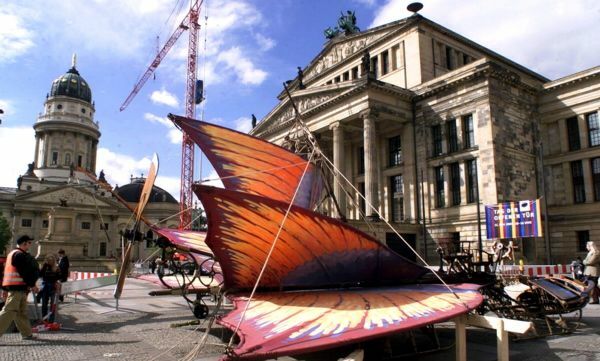 Jackie's still in Berlin filming Around the World in 80 Days. Combining the physicality of international action superstar Jackie Chan with state-of-the-art special effects, Highbinders is an action comedy co-starring Claire Forlani and Julian Sands. Chan stars as Eddie, an indomitable Hong Kong cop who, after a near-fatal accident involving a mysterious medallion, is suddenly transformed into a Highbinder -- an immortal warrior with superhuman powers. Eddie enlists the help of fellow agent Nicole (Claire Forlani) to determine the secret of the medallion and face down the evil Highbinders who so desperately want it back. In order to help the people of Hong Kong who have been affected by SARS, Jackie and some other film artists will put together a series of short movie clips to show their support. 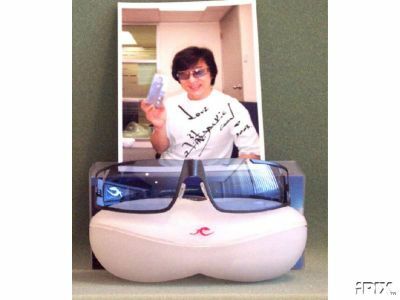 Jackie has donated his own sunglasses (plus a signed photo of him wearing them) to the Discovery Fund for Eye Research's ebay auction. 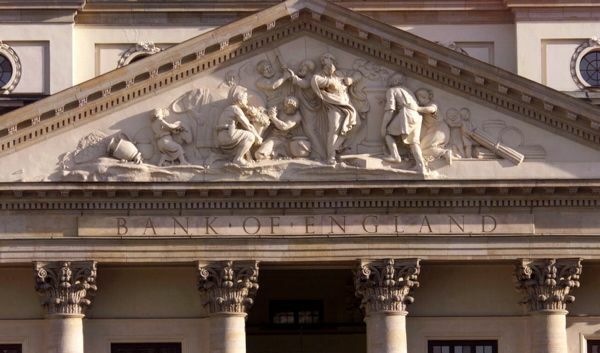 Eighty percent of the money that is collected will go to the charity. This is the second time Jackie has donated items to this charity proving that Jackie is truly devoted to helping others. Here's the photo from ebay showing the glasses that are being auctioned off. Jackie's Official website has finally been relaunched and it looks terrific! It makes use of Flash! technology and is very personalized; you can read Jackie's and Willie's diaries, ask Jackie a question, and see many great up-to-date photos of Jackie on location. Congratulations to the Jackie-Chan.com webmaster! Click below to visit the new site. While Jackie was in Cannes, France last week he officially announced the addition of two more cameo appearances in Around the World in 80 Days: Luke Wilson and Owen Wilson! Click here to see all the ATW80D cameos. The Jackie Teaches German page has been updated with the latest lessons from Jackie. Jackie and the crew are back in Germany to continue filming on Around the World in 80 Days. Click here to read an article about Jackie and the movie. Thanks to JF for the link. Here are some more photos of Jackie and friends from Cannes. Source Thanks to Marie M. for the link. Check out these exclusive photos of the set of Around the World in 80 Days. Kristin, a young fan from Germany, was able to visit the set and even get Jackie's autograph. Many thanks to Kristin for generously sharing her wonderful photos with the Kids Club! 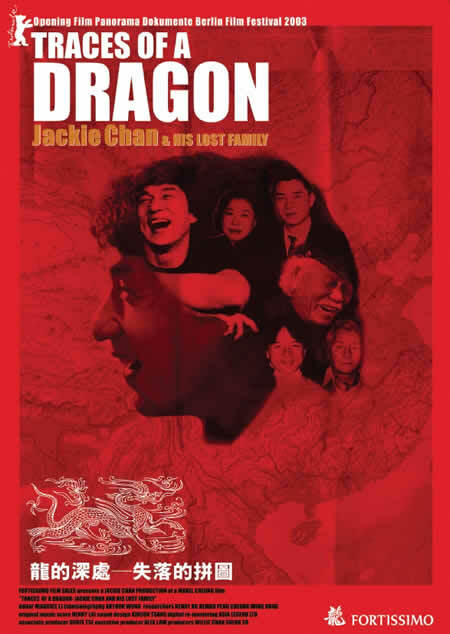 Pssssst.....there's a new "Jackie Chan Movie That Wasn't" posted on the Kids Club website! 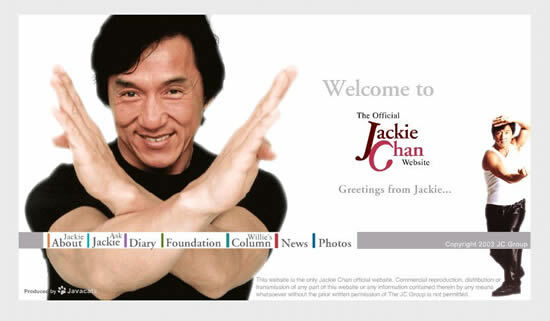 My Diary will not have any more new entries until the imminent re-launch of my Jackie Chan's Official Website. So come back soon to check out our new site!! 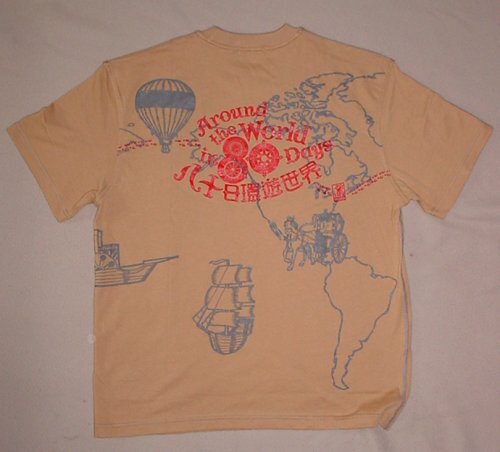 Click here to see some more photos from the set of Around the World in 80 Days! 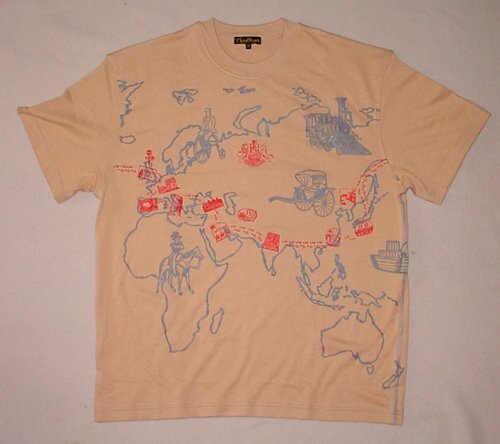 Check out this cool crew t-shirt from Around the World in 80 Days! No word on whether the shirt will be for sale in the future, but if it becomes available, you will be notified here on the Latest Jackie News page. In Jackie's diaries he mentions "snooker" many times. Click here to learn about this popular game (when you get to the link, click on the "About Snooker" button on the left). Filming continues on Around the World in 80 Days. Working in Berlin provides much more stability than working in Thailand because the weather is much more cooperative. Click here to see some amazing photos of the ATW80D set and actors (including our favorite actor, Jackie Chan). Warning: There are some spoiler pictures here so if you don't want to see them then don't click! Thanks to Rachel for providing the link. Screen Power, the official Jackie Chan magazine, has posted parts of its interview with Jackie's dialogue coach, Diana Weng. Click here to read. It looks like Jackie's $40 million US funded "Titanium Rain" has gone through a name switch. According to Sina, the movie will now be called "Time Breaker" or "Space and Time Destroyer" (depending on the translation). The script has undergone a rewrite, although Stanley Tong is still set to direct. The movie will be filmed mostly in China and is set to begin filming after Jackie finishes up with Around the World in 80 Days. (Thanks to JF for the translation). Jackie's diaries have been updated at his official site. The Kids Club Jackie Teaches German page has also been updated. Jackie has very generously donated two pairs of his sunglasses (plus autographed photos of him wearing them) to be auctioned off for charity. The auction begins May 22 at this link. Sorry for the lack of news the last few days...the Kids Club webmaster was having some computer problems. Click here to read an article about Owen Wilson that mentions Jackie and his relationship with Owen's dog Garcia. 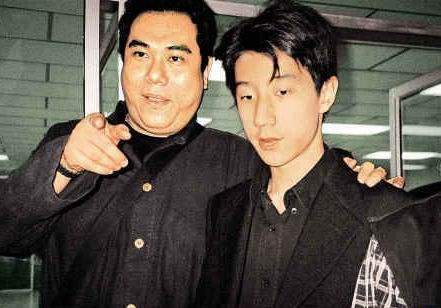 According to a Chinese news source, Jackie's son Cho Ming is working hard to break into the recording industry. He has submitted a demo CD to some of Jackie's friends in the industry and hopes to become a pop star. Says Jackie of Cho Ming's abilities, "He's much better than me!" Thanks to JF on the JCMB for this translation. Not much more in the way of Jackie news today. For a laugh, check out the newest Movies That Weren't on the Kids Club site. If you would like to contribute a fake movie poster just email it to the webmaster. Lots of Jackie news today! 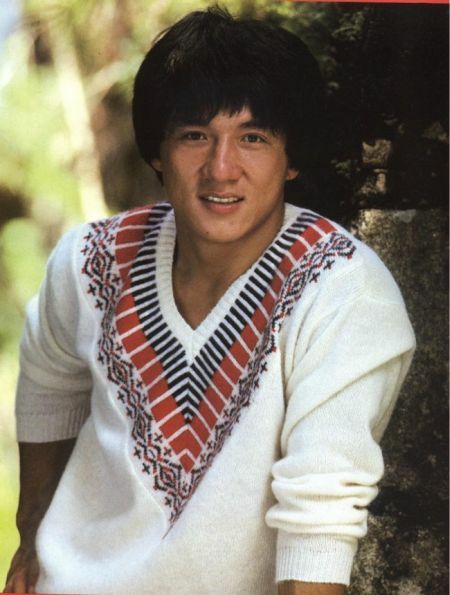 In a survey of children at a Texas elementary school Jackie Chan was listed as a hero and a role model. Click here to read the whole article. Thanks to Marie M. for the link to this story. 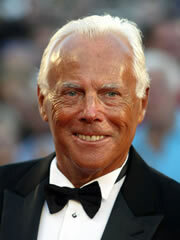 Legendary clothing designer Giorgio Armani appears to be the next celebrity to pop up in a cameo in Around the World in 80 Days. Thanks to Rachel for the translation of this article from its original German. Check out the ATW80D Cameo page to see all the cameos! Click here to watch a terrific video clip of Jackie filming in Berlin! [He is] a very generous actor, very intelligent and very active, unlike other stars of Hollywood that are limited to fit themselves to their role. Jackie's set diary has been updated for April 27 through May 4th. Click here to read it at Jackie's official site. Here are two pictures from a photocall on the set of Around the World in 80 Days. Jackie sure looks happy! Sources are reporting that because of the SARS threat in China, production of the Nicholas Tse film SWORD SEARCHERS has been delayed. Because of Jackie's tight shooting schedule, the chance now exists that he won't be able to appear in this film. Don't forget to check out the latest Jackie Chan Movies That Weren't right here on the Kids Club website! The Jackie Teaches German page has been updated with the latest words and phrases from Professor Jackie. "Today, I received a lot of gifts from the Jackie Chan Kids Fan Club. I'm always very happy and touched to receive gifts from them, and I would just like to say "thanks" to all my fans." In what seems to be a popular move in the world of films today, another name change has been announced for a major motion picture. Jackie's "Titanium Rain" will now be called "Time Breaker." The movie will also undergo a plot and script change according to the source. The new plot promises to include more aspects of Chinese culture and belief. "Time Breaker" is set to be released at the end of 2004. 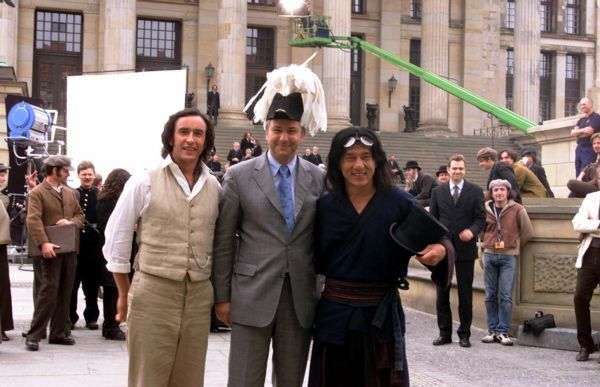 According to a story in the Hollywood Reporter, the Jackie Chan remake of Around the World in 80 Days is relying heavily on advanced technology to manage viewing and editing of the film. Amazingly, the production has an editor and lab based in Germany and when a large amount of footage was filmed in Thailand, modern technology enabled the team to have the dailies in Germany ready to be viewed only 4 hours after they were telecined! Once the film had been viewed by the editor the high speed connection lines could be used to support a video conference between the editor and the director. Wow! Even Jules Verne would be impressed! Thanks to Mary D. for supplying the Kids Club with this link. Three new posters have been added to the Jackie Movies That Weren't, so have a peek! Jackie's diaries have been updated at his official website! Consequently, the "Jackie Teaches German" page on this site has been updated too. Jackie's diaries have been updated at his official website! Consequently, the "Jackie Teaches German" page on this site has been updated too! Happy Cinco de Mayo!!! ("cinco de mayo" means "fifth of May" in Spanish). In other news, German filmmaker Wim Wenders has signed up for a cameo in Around the World in 80 Days. Thanks to Rachel for posting this news! No Jackie news today....check back later to see if anything's come up. There's two new additions to the Jackie Movies That Weren't page. Thanks to Roland for his contributions! Jackie is busy in Germany filming Around the World in 80 Days but not too busy to pose for some pictures. Click here to see the newest additions to Jackie's photo album on his official website. Disney reports a boost in earnings thanks to Jackie's Shanghai Knights as well as the smash hit Chicago! Thanks to Marie M. for the link to this story. Don't forget...the original Around the World in 80 Days was well known for featuring cameos of many famous Hollywood stars. The remake is shaping up to be very much the same....lots of great cameo appearances! If you have an idea for a cameo, email the webmaster and she'll add your idea to the list. Keep checking back here for the latest cool contest sponsored by the Kids Club. The announcement will appear in the next few days. Check out the awesome photos of Jackie enjoying all the wonderful birthday wishes sent to him from Kids Club members and other fans! Don't forget to read the Kids Club news for April 30 (below) since several things were added after the first posting. The Latest Jackie News is now being archived to save room on this web page. To read past news reports, just click on the month you're interested in viewing.